The Travel + Leisure’s 17th annual World’s Best Awards reveal readers’ favorite hotels, cities, islands, cruise lines, airlines, car-rental agencies, spas, and tour operators and safari outfitters. They are listed on www.travelandleisure.com and will be featured in the first-ever World’s Best Awards 2012 iPad edition beginning July 11, and is the cover story of the August issue of the magazine, on newsstands July 22. Only three other hotels in North Carolina made the “Top 50 Hotels” list: Umstead Hotel in Cary, Grand Bohemian Hotel in Asheville and Ritz Carlton in Charlotte. The Waldorf Astoria in Chicago received the top honor. 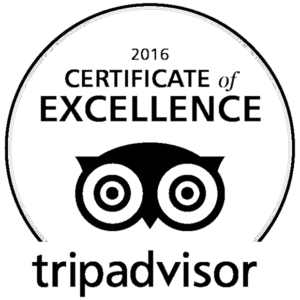 The 147-room Proximity Hotel and adjacent Print Works Bistro restaurant have received many awards since it opened in late 2007. 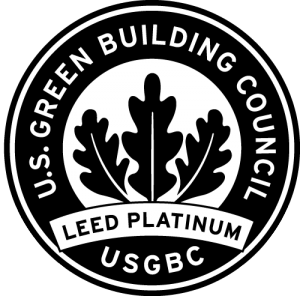 It is the first hotel in America to be certified LEED Platinum by the U.S. Green Building Council. LEED is the USGBC’s rating system for designing and constructing the world’s greenest, most energy efficient, and high performing buildings. Proximity uses 39% less energy and 33% less water than a similar size hotel. Most of its hot water is heated by 100 rooftop solar panels. New York, NY (July 7, 2012) – Singita Grumeti Reserves in Serengeti National Park, Tanzania is named best hotel in the world, New York Cityis ranked No. 1 city in the United States and Canada, and car sharing company Zipcar is voted the top car-rental agency in the Travel + LeisureWorld’s Best Awards 2012 readers’ survey, announced today. The results of Travel + Leisure’s sixteenth annual World’s Best Awards survey revealing readers’ favorite hotels, cities, islands, cruise lines, airlines, car-rental agencies, spas, and tour operators and safari outfitters are listed on www.travelandleisure.com now, will be featured in the first-ever World’s Best Awards 2012 iPad edition, available via www.TravelandLeisure.com/iPad and on the iTunes App Store beginning July 11, and is the cover story of the August issue of the magazine, on newsstands July 22. Singita Grumeti Reserves, composed of Sasakwa Lodge, Sabora Tented Camp, and Faru Faru Lodge in northern Tanzania, is a first-time World’s Best Hotel Overall winner this year and is one of six African properties to place in the Top 10 among hotels worldwide. Posada de Mike Rapu, Explora Rapa Nui, Easter Island makes its debut in the World’s Best Awards survey results this year with a No. 1 ranking on the list of Top Resorts in Central and South America. 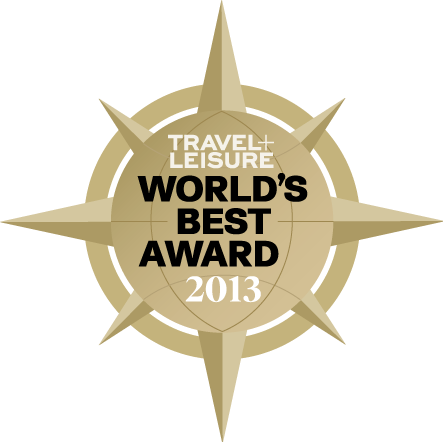 Santorini is a new World’s Best Island Overall winner, moving up from its No. 6 ranking on last year’s list of Top Islands Overall and displacing the Galápagos from the No. 1 position. New York City holds its title for the eleventh year in a row as the Best City in the U.S. and Canada, and rises to its highest ranking since 2000 among top cities overall at No. 4, while Bangkok retains its number one ranking in the world for a second consecutive year. On the list of Top Cities in the U.S. and Canada, Charleston rises to the No. 2 spot, its highest ranking ever, and New Orleans moves up to No. 6 this year from No. 7 in 2010. Cuba regains the title of Best Island in the Caribbean that it last held in 2003. The 2012 results, including the Top 100 Hotels Overall, Top 50 Resorts in the Continental U.S. and Canada, Top 10 Cities Overall, and Top 10 Domestic Airlines, among other lists, are featured on www.TravelandLeisure.com/worldsbest now.